Mexican strawweight standout Alexa Grasso earned her biggest victory to date in the co-main event of Invicta Fighting Championships 11 on Friday night in Los Angeles, California. Grasso outpointed highly-touted Japanese prospect Mizuki Inoue in the action-packed Invicta FC 11 Fight of the Night. Grasso and Inoue earned an extra $1500 for Fight of the Night honours, but they were not the only fighters on the card who took home bonuses. Invicta FC Featherweight Champion Cristiane “Cyborg” Justino and Grasso’s teammate, Irene Aldana “Robles,” each earned Performances of the Night. Grasso (7-0-0) and Inoue (8-4-0) battled back and forth on the feet throughout much of Friday’s 115-pound co-feature, but Grasso’s ability to mix up her strikes and land effective combinations of punches and kicks kept Inoue on the defensive in the opening two rounds. Inoue survived a reverse triangle choke and a kimura in round two and had her best success in the final stanza by threatening with submissions of her own on the ground. However, her late-fight rally was not quite enough to steal back a victory, and Grasso earned a Unanimous Decision win with scores of 30-26 and 29-28 twice. In the brief and lopsided Invicta FC 11 main event, Justino (13-1-0, 1 ND) destroyed an overmatched Charmaine “Not So Sweet” Tweet (6-5-0), who was rocked and dropped by early punches from the champion. A bloodied Tweet battled back to her feet, only to be overwhelmed by a barrage of punches from Justino. Referee Herb Dean intervened to stop the fight at the 46-second mark and Justino earned a $1000 Performance of the Night bonus for her quick win. Equally impressive was Aldana (5-1-0), who won her featured bantamweight bout by submitting Colleen “The Thoroughbred” Schneider (6-6-0) in just 65 seconds. Aldana rushed in with power punches after Schneider slipped in the opening seconds, and she hopped on Schneider’s back soon after. Aldana then locked on a rear-naked choke and used it to drag Schneider to the mat, where she was forced to tap at the 1:05 mark. Aldana earned an extra $1000 in the form of a Performance of the Night bonus. Very good event. The only reason I want most of these girls to go to the UFC is because of the pay. 1k vs 50k bonuses. And I’m sure each would make significantly more per fight than they do now. 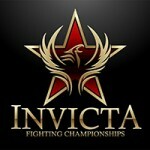 I know Invicta is relatively new but I’m surprised with Zuffa’s backing, they can’t afford to pay their fighters more. Even for most workers, making 8k a yr for most part time jobs would be pretty brutal. That 8k mark is probably tough for most of the fighters in the org.